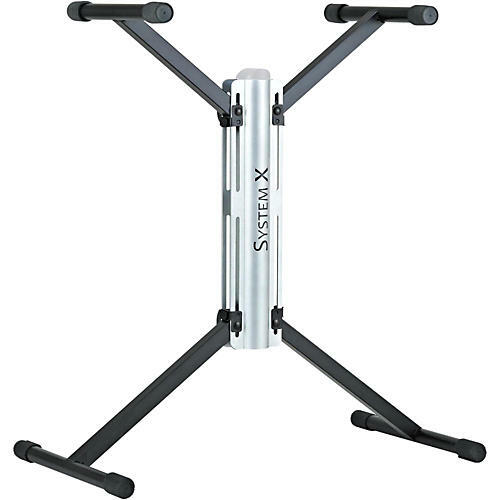 The System X KB7700K Keyboard Stand offers the portability and simplicity of the time tested X braced keyboard stand without the limited usefulness inherent in X stands at the limits of their height ranges. An attractive center column houses large and reliable adjustment knobs for the attached arms and legs. Unfolding the stand and setting the height is fast and easy.